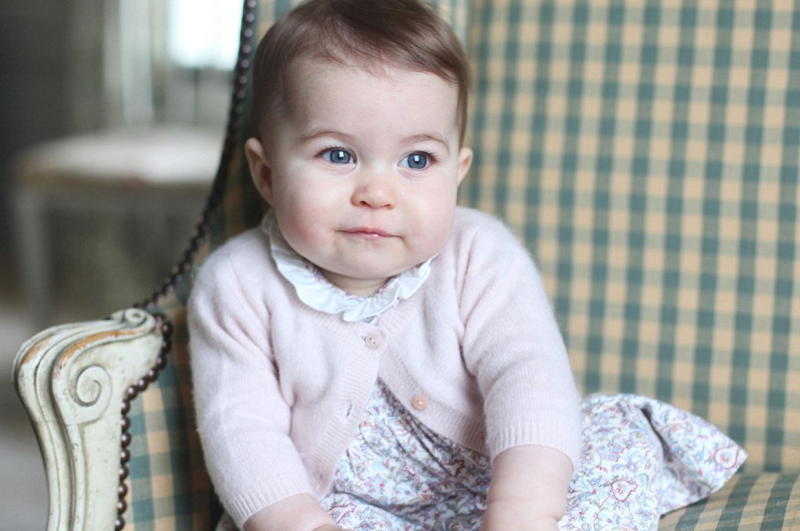 HomeTagsPosts tagged with "Princess Charlotte"
We just can't get enough of watching Princess Charlotte grow, and every time we see her she's even more like Kate. 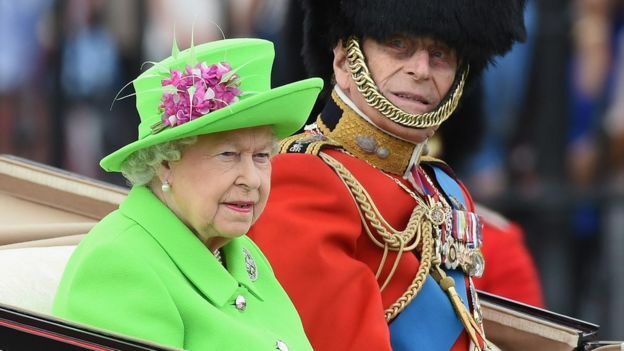 The royal baby delighted crowds outside Buckingham Palace today, making her first appearance on the famous balcony as part of the Queen’s 90th birthday celebrations. 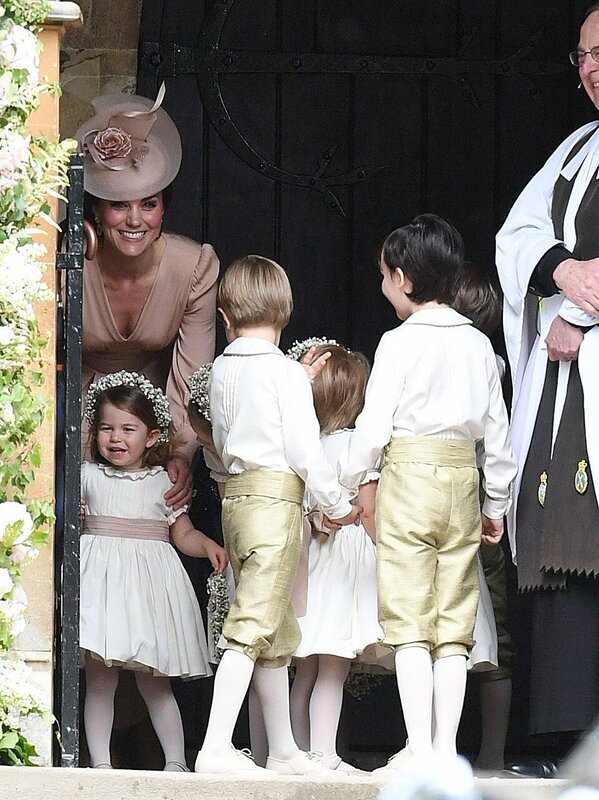 Princess Charlotte appeared on the balcony in Kate’s arms, while Prince William talked big brother Prince George through the festivities. 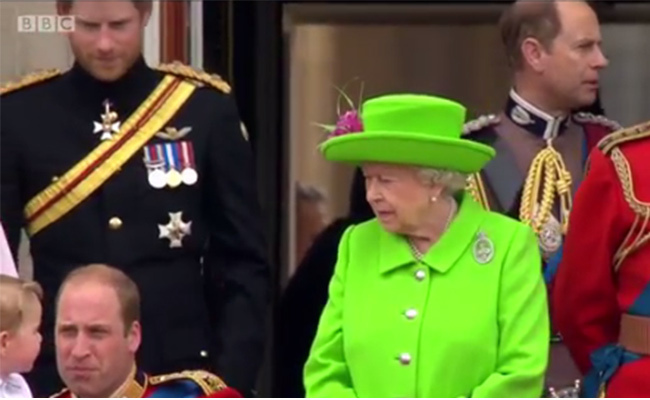 Of course, this is George’s second official appearance on the Palace balcony, and it seems he’s already well-seasoned in royal protocol – not one little bit of boldness in him! 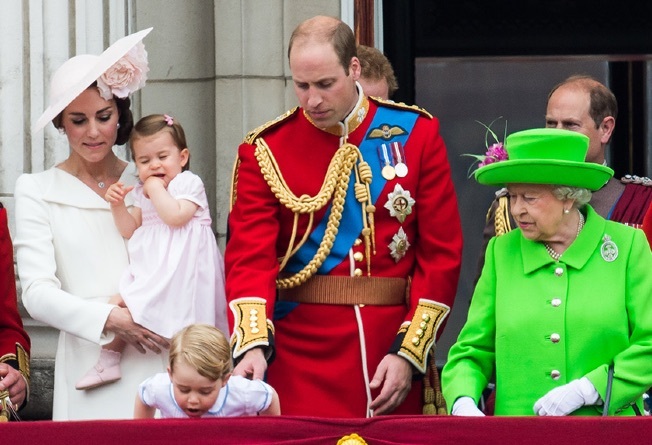 If you have any sort of #FamilyGoals for the future, take a look at the royal family, because they are all the goals you need. 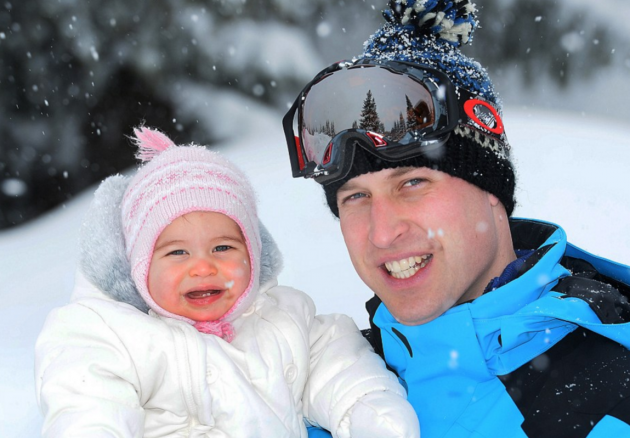 Kate amd William decided to take their two children on a ski holiday to the French Alps over the weekend – and the pictures are dreamy. 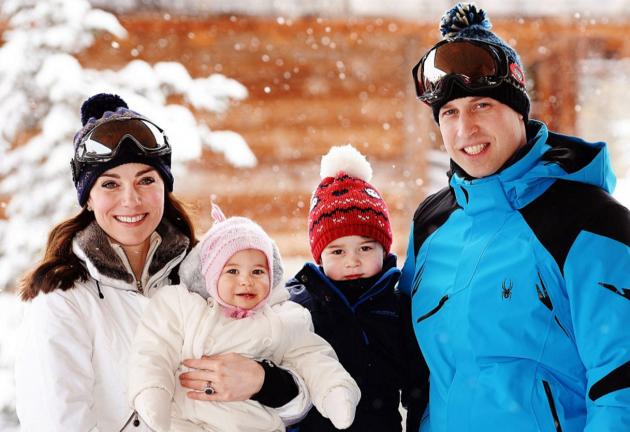 The family are seen having fun in the snow with two-year-old George and ten-month-old Charlotte. 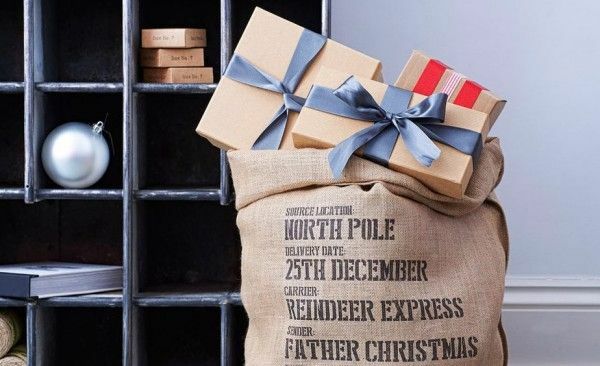 The Duke and Duchess made sure they had their privacy though, as they flew to a secret location last Wednesday during a media blackout to ensure they weren't followed. 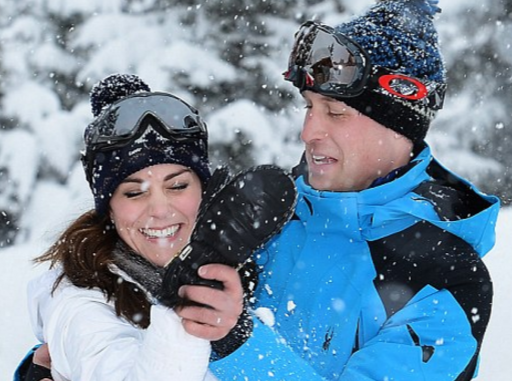 Unlike other royal ski trips, the couple decided not ot hold a photo-call but instead went for a singe Press Association photographer to capture a few beautiful moments. 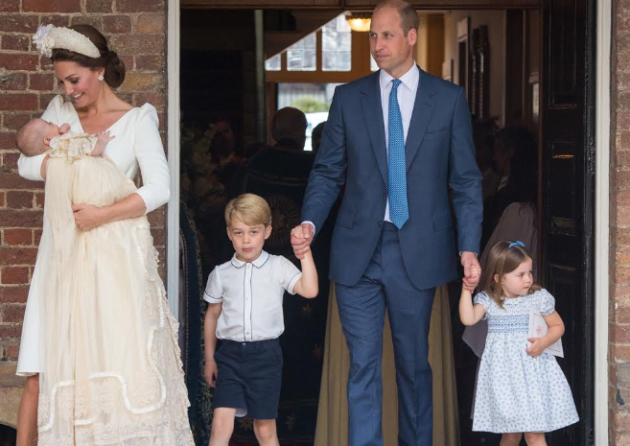 We just can't get over how big George is getting and what a cutie Charlotte is. 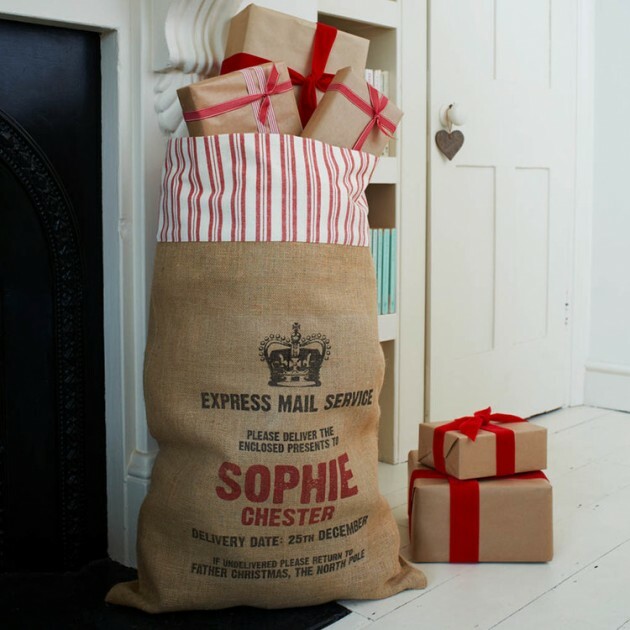 If this doesn't get you broody, we don't know what will. 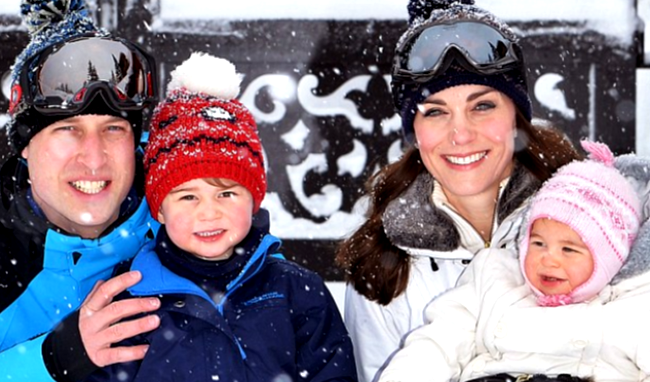 Kensington Palace has bestowed all the feels on us today after revealing the official picture that will be used for Kate and Will's Christmas cards. The adorable snap captures the family very naturally in their own garden with the six-month-old Princess Charlotte in tow. 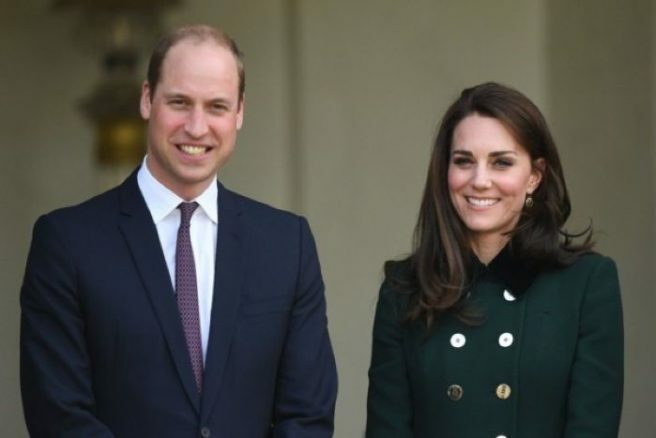 The photograph was originally intended to be used only for personal reasons but it seems that the Duke and Duchess of Cambridge like it so much that they shared it with the world. And we are delighted that they did. 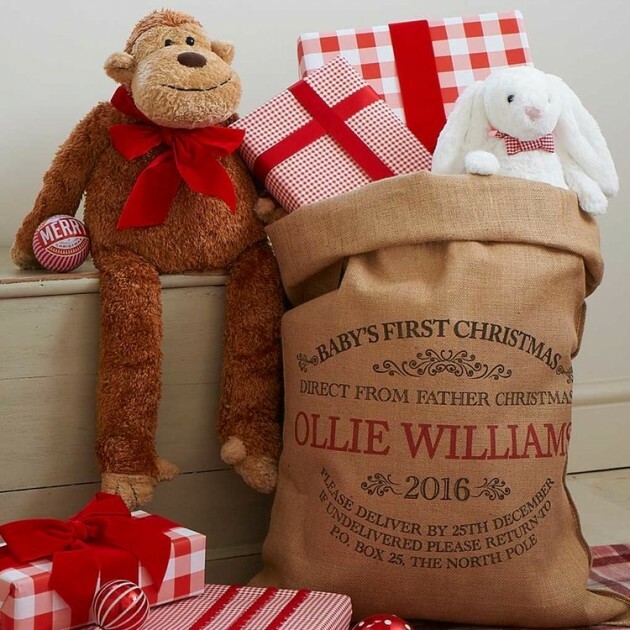 We reckon this was the only photo they could manage to get of George where he was almost standing still. 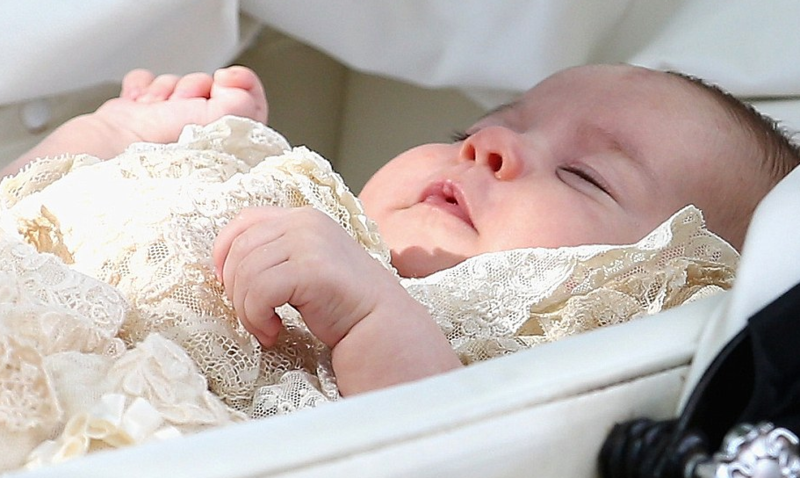 Meanwhile, Charlotte looks serene and sweet. 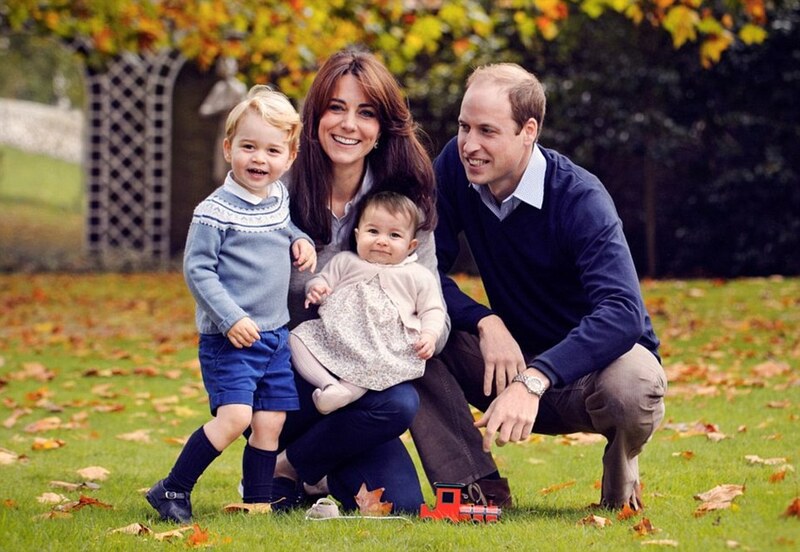 The photo, taken at Kensington Palace, marks only the second official photo of the family of four. 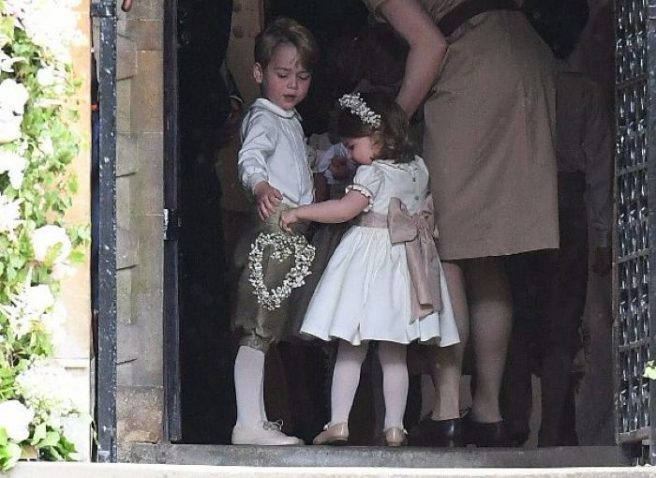 The first official photo was taken at Charlotte's christening (and they couldn't even get George to pose then either). 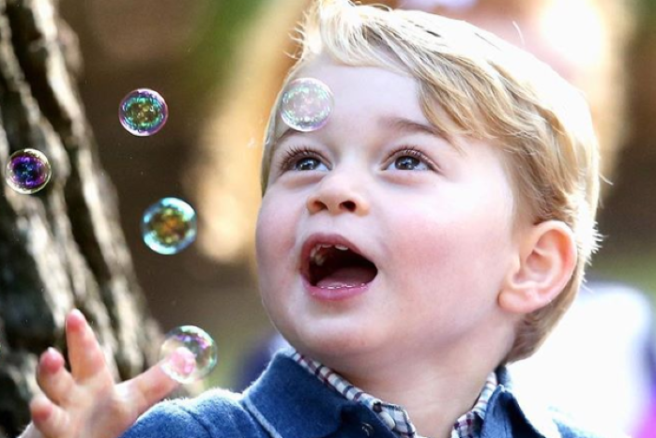 And the gorgeous family have also just revealed that Prince George is due to begin Montessori school at the end of January. 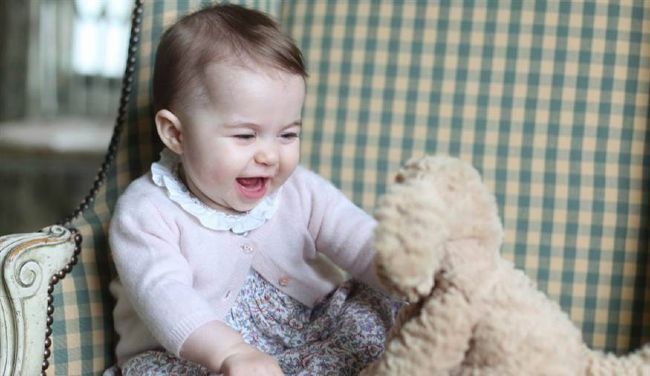 We gush about how cute Prince George is, but pictures of Princess Charlotte have just been released – and she is just as ADORABLE as her big brother. 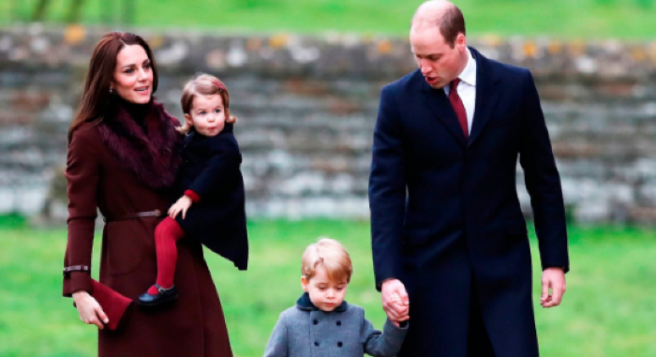 The photos were taken by her amateur photographer mother, Kate Middleton, at Anmer Hall, the family's Norfolk home, in early November. 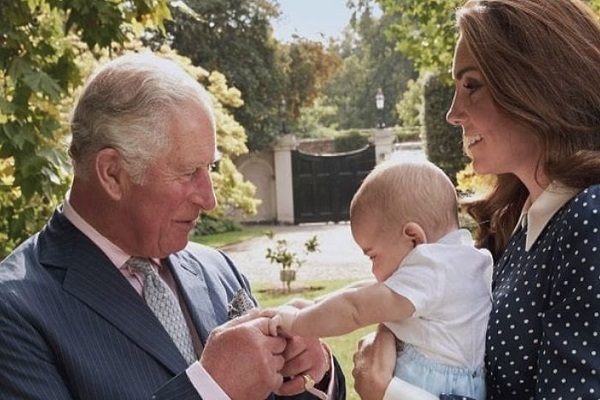 At first, the photos weren't meant to hit the public but the Duchess of Cambridge was so pleased by both her work and the positive response her last photographs of Prince George and Princess Charlotte received, that she decided to release them as a way of thanking the media for letting her children grow-up out of the spotlight. 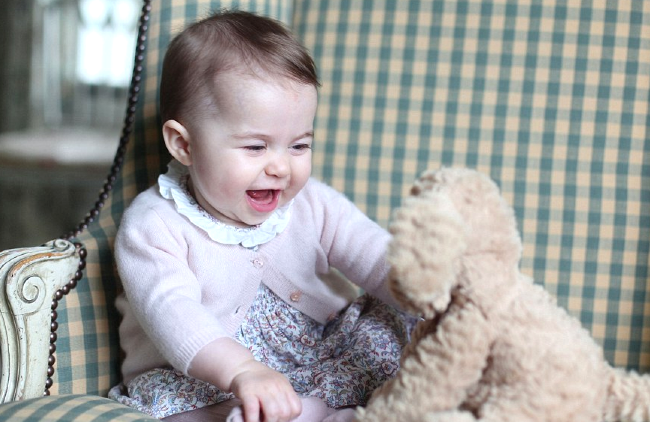 The princess, who has blue eyes and brown hair, can be seen sitting unaided in a green checked armchair and in one shot is smiling at a toy puppy. The cutest? We think so. 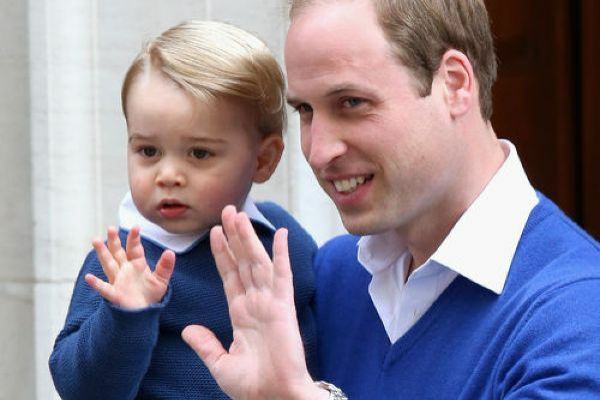 As George has inherited his father's looks, it's safe to say that Charlotte has taken from Kate's side.